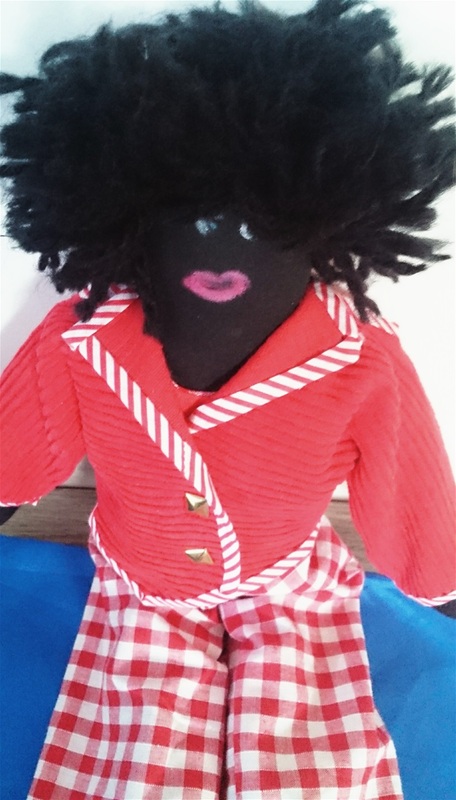 Geoffrey is a black doll from Golly-J pattern. 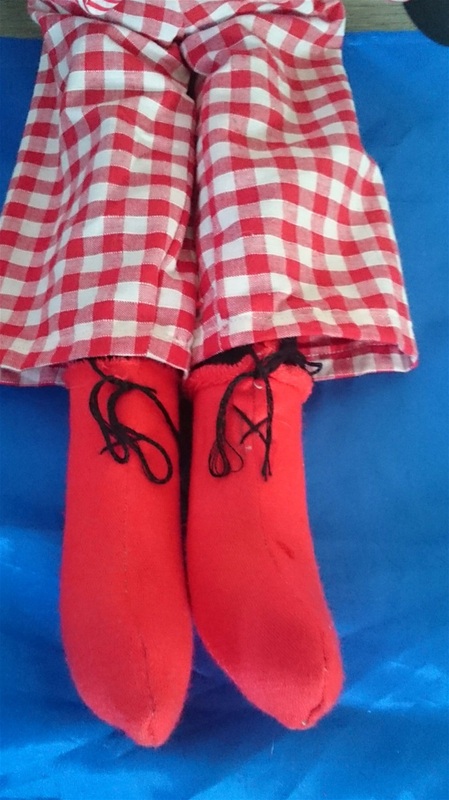 He is 17 inches tall and handmade by me. 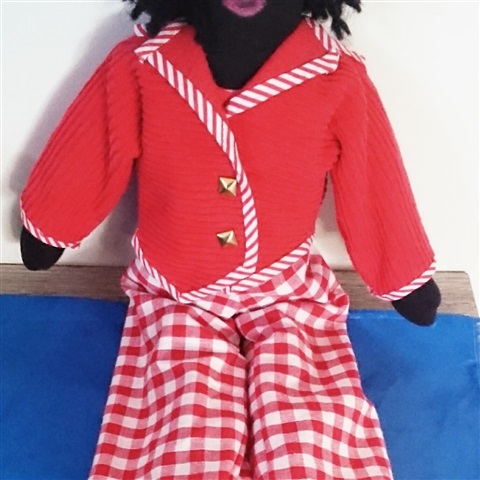 His body is black muslin, vest is fully lined, and trousers are red/white gingham cotton. Jacket is corduroy with red/white bias trim and gold studs. 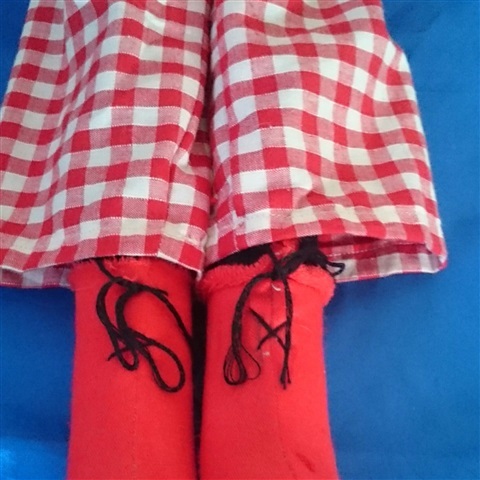 Boots are stretchy cotton with black floss laces. 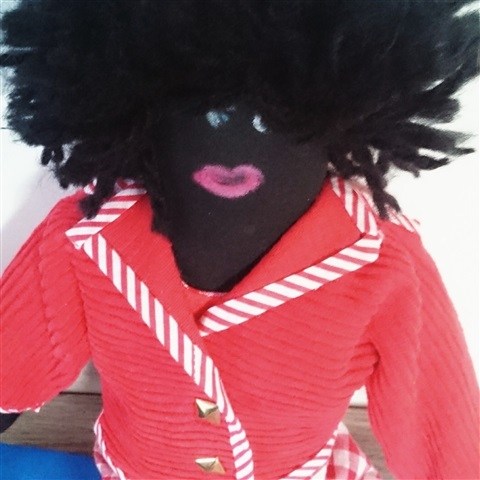 Face is painted on, hair black acrylic wool sewn on. Filling is hobby fill. Not suitable for young child due to studs.